Following the passing of Apple’s former CEO Steve Jobs on October 5th comes a new holiday in the state of California held in his honor. 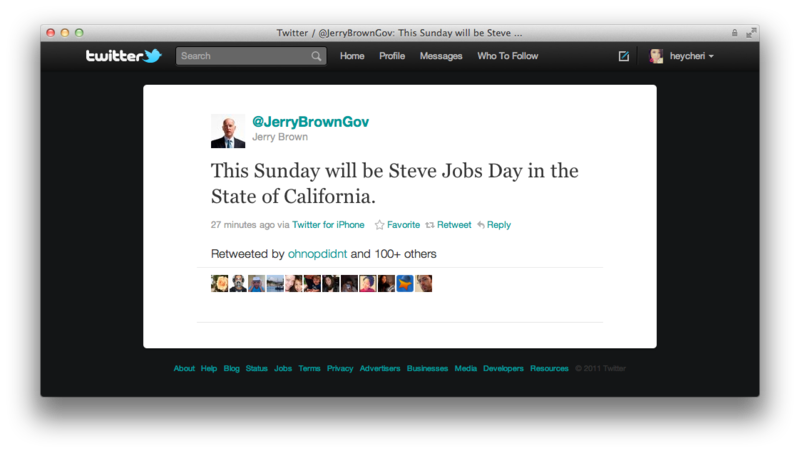 According to a tweet by California Governor Jerry Brown: This Sunday, October 16, will be Steve Jobs Day in the golden state. Also held on the same day will be a memorial service by Apple Inc. where the luminaries of Silicon Valley along with a few tech elite are being invited to celebrate the life of Steve Jobs, as well as those personally close to the technology visionary. An Apple spokesperson has already stated that this will be a private service, similar to the event being held only three days later for internal Apple employees only in Cupertino. This new holiday, however, is perhaps a way for everyone to join in together on both mourning the loss of a man some have compared to Einstein and Henry Ford, as well as celebrating the amazing life he’s lived whether they’ve personally known him or not. We’ve seen how his death affected the world, cried alongside others while attempting to honor him in what little way we can, and even come face to face with those who have felt as great a loss as we have. While the world attempts to move on, the holiday will hopefully serve as a quiet reminder that Steve Jobs lived and lead by example. For those of you who now have one, enjoy your new iPhone 4S today — or as we at The Next Web like to quietly joke, the iPhone “4 Steve.” Then join us in remembering Steve Jobs this coming Sunday. 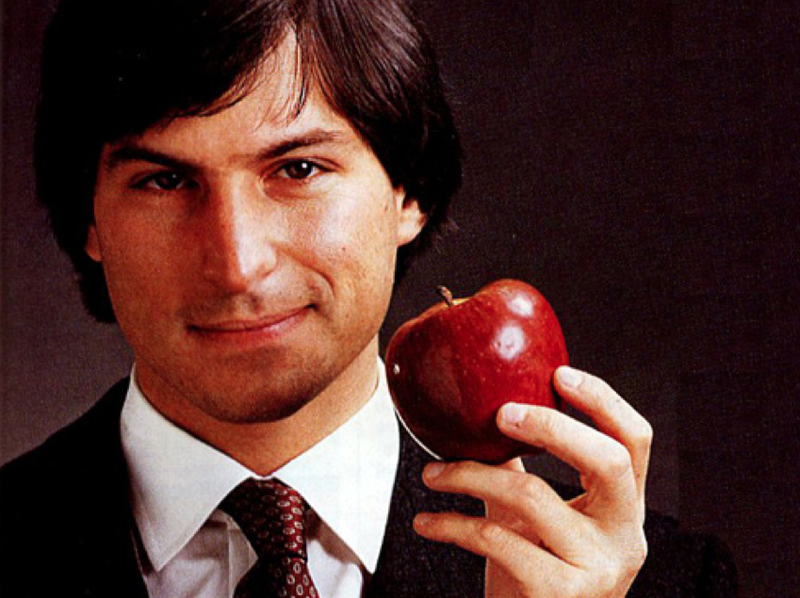 You tell us: How will you be celebrating Steve Jobs Day on Sunday, if at all? Sound off in the comments.